The concept of Ken’s Wine Buying Guide originated in February 1998 with the first recorded Ken’s Boston Wine Expo Notes. When my in-laws were stumped for a gift for me the following Christmas, I asked "How about some good wine?" and the first "official" list was born. My in-laws, like many others, find the wine buying process quite intimidating and the list made the process more comfortable. My recommendations to my in-laws accomplished two things: I was able to try some very good wine and I gave them so many choices that I was bound to be surprised. The list evolved dramatically from the original 15 wines to a 36+ page Microsoft Word document sent quarterly to friends and family. In the last few years, many people have suggested that I make Ken’s Wine Buying Guide available online. KensWineGuide.com makes the list easily accessible to wine lovers everywhere. I hope KensWineGuide.com helps you find that perfect bottle of wine. What does the wine glass next to a wine mean? It means that Ken or the Tasting Panel reviewed the wine. Can I see my virtual wine list without voting? Yes, you sign in on the Fun Wines Searches page. How does Ken determine which wines make the list? If you are going to spend a lot of money on wine that you have not tried before, pick one that has been rated highly by the experts. If three experts give it a "Very Good" score, it is probably pretty darn good! Wines with multiple "Very Good" scores or better make the list. The expert ratings I consider are from: Wine & Spirits, Wine Spectator, Wine Enthusiast, Connoisseurs Guide, International Wine Cellar (Steve Tanzer) and The Wine Advocate (Robert Parker). (I highly recommend subscriptions to these publications.) KWG also reviews most of wines ourselves and adds our scores to the average. For more details, see the KWG scoring system section on this website. The wines on the list vary in price, but I think that most of these are good values. Anyone can buy an excellent $50 or $100 bottle of California Cabernet or Bordeaux. But the real challenge is to find a $25 or a $15 bottle that is just as good. To quote one of my favorite oenophiles, Robert Parker Jr., "The truth is that even the best wines cost only about $10 per bottle to produce, and they are not inherently rare. If the initial cost is tripled to allow for profits along with the path of distribution, one can reasonably conclude that retail costs above $30 are based on speculation, image, and hype." Most of the wines in Ken’s Wine Guide are priced at $30 or less. I am constantly trying to expand my palate and broaden my wine knowledge. You will notice that Ken’s Wine Guide now has more "old world" wines, more new regions, and more unusual varietals than ever before. As requested, I have also expanded the dessert wine section. I look for producers who are consistent (the old stand-bys). I also like to look for diamonds in the rough - good values and good wine from producers that you and I have never heard of before. How do I use Ken’s Wine (Buying) Guide? 2. Always buy in bulk: You will get great discounts. My favorite sales are 20% to 25% off six bottles or fewer. Prices listed are suggested retail prices or the lowest sale price that I have found. Local Wine Shops: When you know the Owner or Wine Manager they will place special orders for you. These shops and owners will also offer you personalized service, get to know your palate, and provide valuable advice. Costco, Sams, and BJ’s: These wholesalers sell wine at wholesale prices (sometimes less). If they have what you want, you cannot beat their prices. If you see an unbelievable price, it probably was a price I found at Costco. 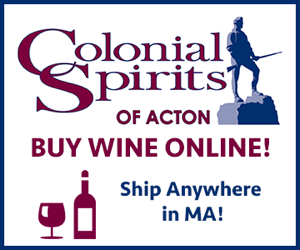 State Wine Outlets: New Hampshire state wine outlets now offer case discounts and have a huge selection, for example. Huge Superstores: They have many selections and usually have better bulk discounts. When you buy a wine from the list on KensWineGuide.com, please provide actual feedback from your tasting - either through our subscribers virtual tasting or by an e-mail to us. We would love to know what you think - Good or bad!